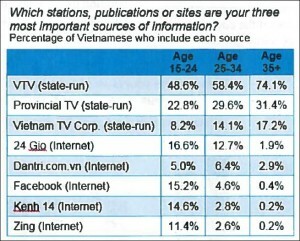 The biggest takeaway from the findings of the 2015 survey of media use in Vietnam, conducted by the Broadcasting Board of Governors (BBG) and Gallup, is the dramatic demographic shift in the way people are accessing news, as young people increasingly turn to Facebook and Google at the expense of the traditionally-dominant state media television stations. 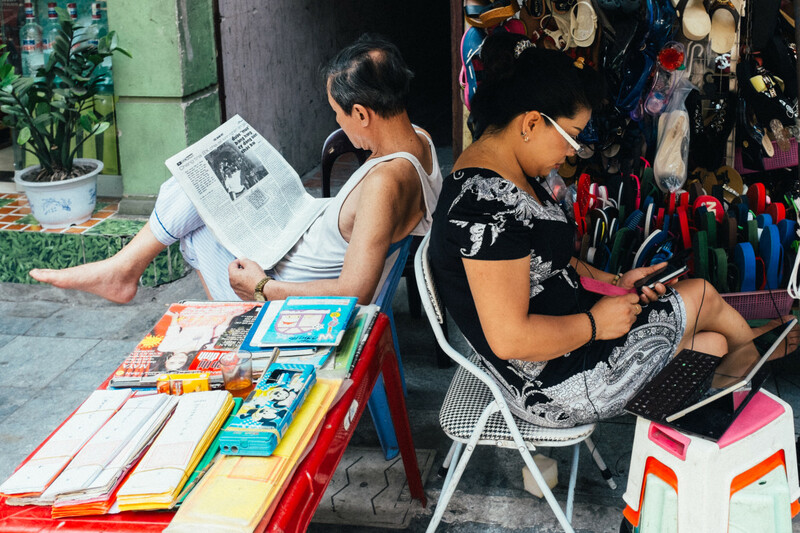 According to Radio Free Asia’s Betsy Henderson, among Vietnam’s internet users “mobile absolutely dominates,” especially when for accessing Facebook and Google, although the findings suggest that there is still a preference to experience certain content on larger desktop devices. According to the survey, 58% of people believe personal blogs are more reliable than official news –no doubt an alarming statistic for a long dominant state-run news apparatus. Indeed, the government appears to have caught on to the diminishing power of the state media and growing influence of social media. According to one attendee at today’s presentation, earlier this year Vietnam’s prime minister called on government ministries to strengthen public engagement through these sites. New domestic online outlets and social media sites are also popping up in the country and contributing to an increasingly complex information system. Most notable are Zalo, a chatting app, and Zing, a social network, both owned by ZNG Corporation. And while Vietnam’s media sector will continue to see growth in domestic online media entities, it does not mean that the overall media environment, ranked 186 out of 199 (tied witch China) in the Freedom House Freedom of the Press index, will necessarily improve. 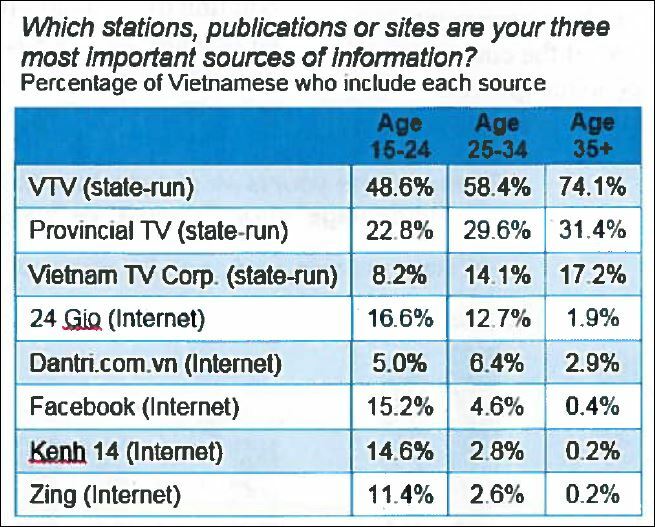 As BBG’s Bruce Sherman stated toward the close of the presentation, “more media doesn’t mean more media freedom.” But for now, it’s clear that the Vietnamese media landscape is in transition.